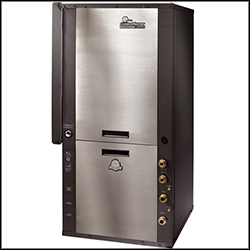 Pro-Tech Heating and Cooling’s geothermal heat pumps offer homeowners and businesses alike an affordable method to keep heating and cooling costs down. By tapping into the geothermal energy beneath your home, you can reduce the amount of energy you use from traditional power sources — thus lowering your overall power bill. However, keep in mind that these systems are complicated, and a lack of professional maintenance often leads to total heat pump system failure. Regular maintenance from the professionals at Pro-Tech remains the best solution to problems with your heat pump. We offer a wide variety of services, from regular checkups and general maintenance to expert repair and replacement. We partner with reputable and qualified manufacturers such as ClimateMaster and pair their high-quality heat pumps with expert installation and maintenance from our technicians. If you want to lower the cost of your energy bill without losing money on faulty solutions, the professionals at Pro-Tech remain the best choice. For more information about geothermal heat pumps from Pro-Tech Heating and Cooling, please contact us here, or call us directly at 616.453.5000.